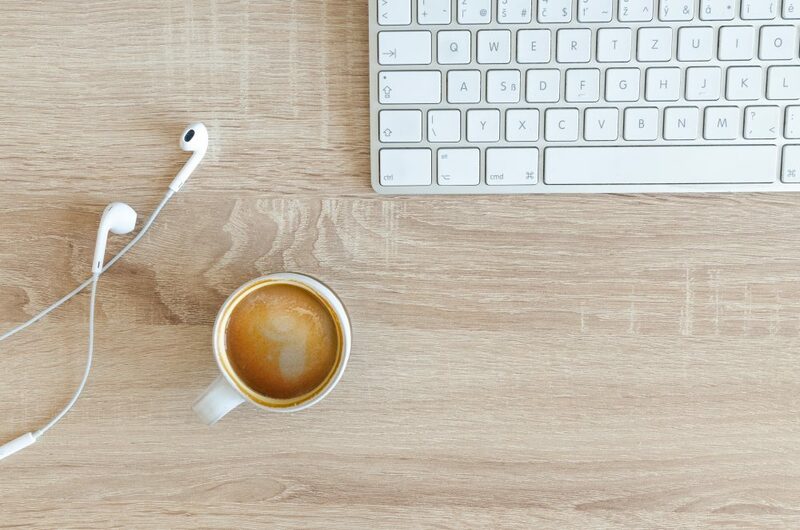 You are here: Home / Uncategorized / What is a Virtual Assistant? The basic answer is that a Virtual Assistant is (generally) self-employed and offers remote client assistance. Of course, you could figure that out by yourself. But what does it mean to be a Virtual Assistant? What does a Virtual Assistant do? Unfortunately, many people have misconceptions about what a Virtual Assistant is or does. One of my first encounters with the title “Virtual Assistant” was while reading The 4-hour workweek. You may have heard about Virtual Assistants from that book too! Unless you’ve been living under a rock and haven’t read it in which case, you should! You can listen to the 4-hour workweek (plus another one) totally free with a 30-day Audible trial. Just make sure to cancel before 30-days if you don’t want to be charged. Fortunately, you don’t have to live in southeast Asia and charge $5/hour to be a VA (although you certainly can do that too.) Today I am going to talk about the what a Virtual Assistant is, the primary services that Virtual Assistants provide and how to become a successful Virtual Assistant. Not sure if you want to be a VA? Check out this post with 10 real work at home jobs for busy moms. When you think of a Virtual Assistant, you might picture a secretary who works from home. This can be the case but more often than not Virtual Assistants offer work that spans far beyond basic administrative services. This is what most people think of when they think of a Virtual Assistant. Administrative VA’s offer tasks like handling emails or client calls, organizing files and many other administrative tasks. This is the choice that most VA’s would make if they had an office or administrative background. A creative Virtual Assistant offers graphic design, social media images, creating printable opt-ins for clients and much more. Content writing or editing services can also be considered a type of creative service. Someone with a design, writing, or photography background might choose to be this type of VA. When you hear the word “technical” you may think of programming or fixing broken websites. Fortunately for me, that isn’t always the case. Technical VA’s may also offer services like social media management, email campaigns and more. Technical VAs and Creative VAs tend to have higher rates due to offering specialized services. Even though these are the primary categories of Virtual Assistants, many Virtual assistants, including myself, offer services that go beyond just one category. For example, Pinterest Management and email campaigns, two of the primary services that I offer, fall into the technical VA category. However, I also create Pinterest and other social media images and offer content writing for clients. Those types of jobs fall under the creative category. Some Virtual Assistant offer one specific service like ghostwriting and others may have teams and offer full support for a business of any size. Remember, we are only covering the basics today! 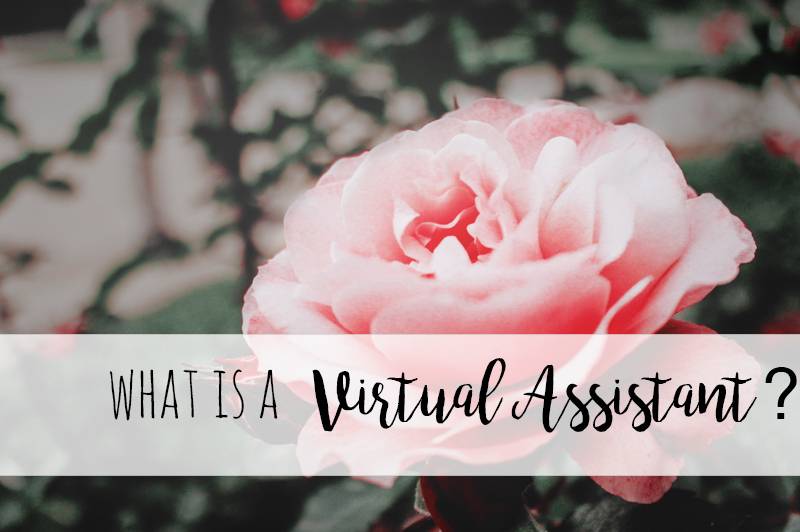 Now that we’ve answered, “What does a Virtual Assistant do?” You may be reading this and thinking “I could do that!” And you probably can! I didn’t realize it, but even prior to reading the 4-hour workweek, I had done some Virtual Assistant work already. If you don’t already know, I have a background in professional photography. I lived and worked in a very seasonal area, and things got very slow in the winter. I started to offer my services (social media, editing, etc.) to other photographers. This didn’t work for me because I hated editing. 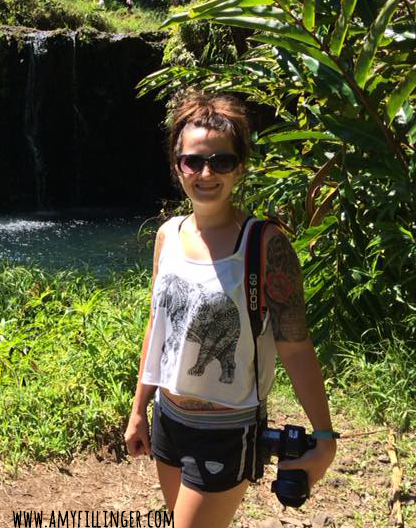 I never realized that I could be a valuable asset without offering editing services! Fortunately, I finally figured it out. First, figure out what type of Virtual Assistant services you want to offer. Can you provide administrative, creative, or technical support? Try to stick with what you know. You can always learn new skills later. If you took design classes in college, maybe you could offer creative services. Maybe you previously worked in a Real Estate office, you could offer administrative help to busy Realtors. If you currently have a day job, try to think of what you could offer with the skills that you have right now. No, you probably won’t quit your job right away, but being a VA is a great way to build up a side income and eventually work from home if that is what you want to do. This should go without saying, but I will put it here anyway. Don’t try offering VA services to a local competitor of your current job. That is just shady. The beauty of being a VA is that you can offer services to anyone, anywhere. 1. You need a good, reliable computer, and a backup. You don’t necessarily have to have a backup computer, but you’ll need a tablet, smartphone or a backup computer to borrow at the very least. I use a MacBook Pro, but I used an All-in-one PC for years and never had an issue. 2. Good internet and a backup. 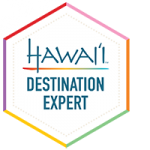 Make sure you have reliable internet and a backup (friends home, Starbucks, etc.) if something happens. 3. A website. I realize that this isn’t an absolute necessity, but I think it looks more professional to have one. If you already have a blog or website, you can either add a “work with me” page or build a completely new website for your VA services. I highly recommend a self-hosted WordPress site with Siteground hosting. If you don’t know where to start, you can check out my post about How to start a WordPress blog. You also need to make sure that you are running your business legally. That can vary depending on where you live, but I recommend looking up the laws in your state. A simple Google search for “How to start a business in (your state)” can help get you started. You will also need to be putting aside money to pay your taxes, so speak to a tax professional if you have no idea how that works. 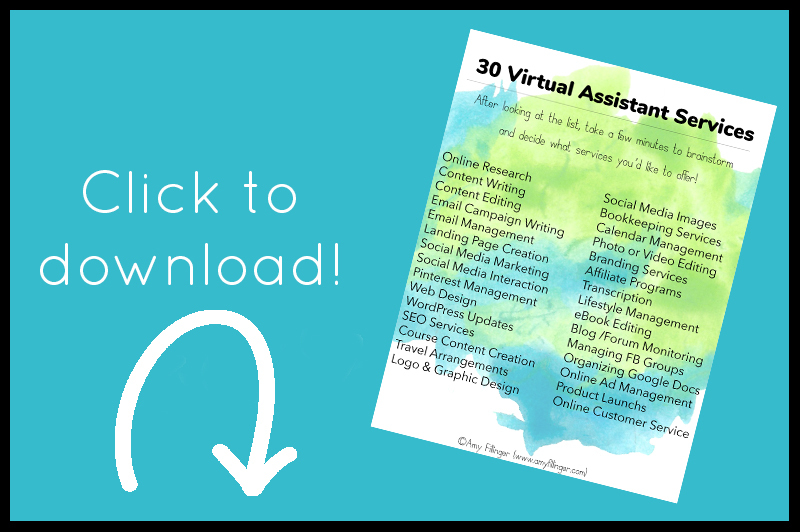 If you want to jump start your VA business, I highly recommend the 30 Days or Less to Virtual Assistant Success course. Gina really knows her stuff (I have been following her for a long time) and she’s very highly respected in the VA world. This course will teach you to set the foundation, start your business and make money. What does a Virtual Assistant do? What should you offer as a Virtual Assistant? Whatever you want! The beauty of working for yourself is that you can offer the services that you want to offer. It took me a long time to realize that I could still be an asset to other photographers without offering editing services. My business has expanded to working with a variety of clients, but I still love working with photographers. Are you stuck with not knowing what to offer? I created a free downloadable PDF file that can help you get started. Go over the list and then start brainstorming. There will be more to come in this series. Leave a comment on here or my social media accounts and let me know what you’d like to see next.